Marisa and Justin’s wedding was really unique for me in that I didn’t meet the couple until a few days before the big event! Marisa’s mom saw us in Daily Candy and booked us after a phone consultation. 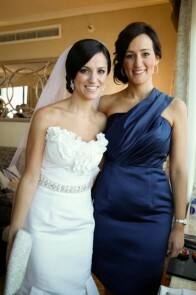 Marisa’s parents lived in Ohio and Marisa and Justin were currently living in Los Angeles. 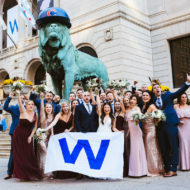 They wouldn’t be in Chicago until the week of the wedding! 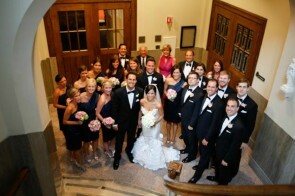 After many emails and phone conversations, I could tell that Marisa and Justin were going to be a dream to work with. It was so nice to finally meet everyone in person when the time came! 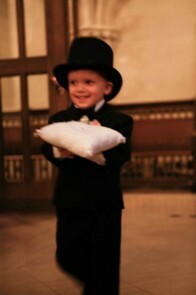 I immediately felt at home with the two families and knew it was going to be an incredible wedding. 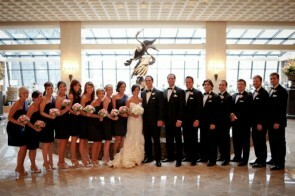 Marisa and Justin chose the Ritz Carlton as their venue for the reception. The ladies started off the day getting their hair done at Salon Buzz and had the lovely Renee Snell come to the hotel to do their makeup. Everyone looked stunning and Marisa’s Oscar de la Renta dress was absolutely to die for. While the ladies were “beautifying”, the men were hanging out a few floors down in one of the Ritz’s meeting rooms. I love these photos because they are all trying to look so serious when I’m sure moments before they were laughing and goofing off. 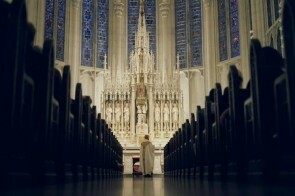 Finally, it was time to head to St. James Chapel. 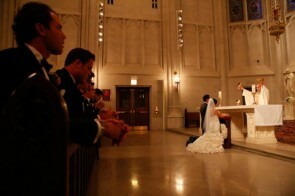 The chapel is located on top of the Archdiocese of Chicago and just recently became available for weddings. 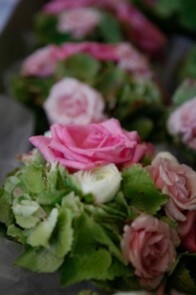 It is small and intimate which was perfect for the occasion. 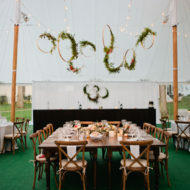 Marisa and Justin’s photographer, Michael Wilson, did a spectacular job of capturing everyone in this beautiful space. The ceremony flowed right into cocktails back at the Ritz but we managed to squeeze in a few photos of the newlyweds and their bridal party before heading to the party. And then it was time for the reception! 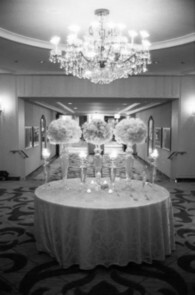 Kehoe Designs provided all of the incredible décor and floral for the day. 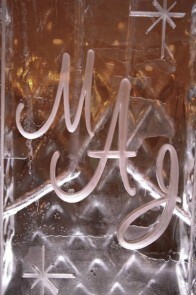 The Ritz was kind enough to find the couple an amazing ice sculpture with their initials, which also served as a vessel for serving signature cocktails. 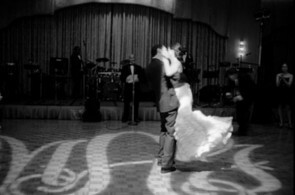 Marisa and Justin’s first dance had everyone wiping away tears – it was clear this couple is so in love. After a delicious meal (and cupcakes!) everyone moved to the dance floor. Gentlemen of Leisure had the party going all night (and then some!). They really put on a show! 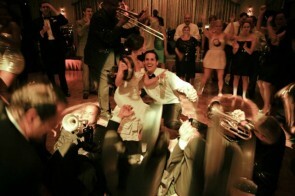 Marisa and Justin’s wedding was one for the books. 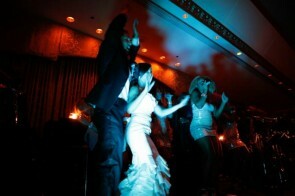 The party continued well into the night and I don’t think I have ever witnessed so much dancing at a wedding! It was truly a joy to be part of their day. Thank you so much to Marisa, Justin, and their parents and siblings for making me feel like part of the family!